This recipe has been kicking around my kitchen for a few years now. It is wonderful with either chicken or pork – this time I happened to use chicken, of course. I had to share it because it is made with simple ingredients that you should always have on hand. To add even more flavor, try adding 1/4 cup of a good dry Chardonnay when you add the butter, letting the alcohol cook off before the chicken is done. This recipe is just a base. Add your favorite heat if you like, or your special chicken seasoning – the ingredients are so versatile. There are so many wonderful dishes that can start like this. I hope you try it &amp; enjoy it. If you do, please comment what you decide to add. Rinse chicken and pat dry. Sprinkle salt and Pepper on both sides. Heat olive oil in a deep skillet over medium-high heat. Add chicken to brown it. 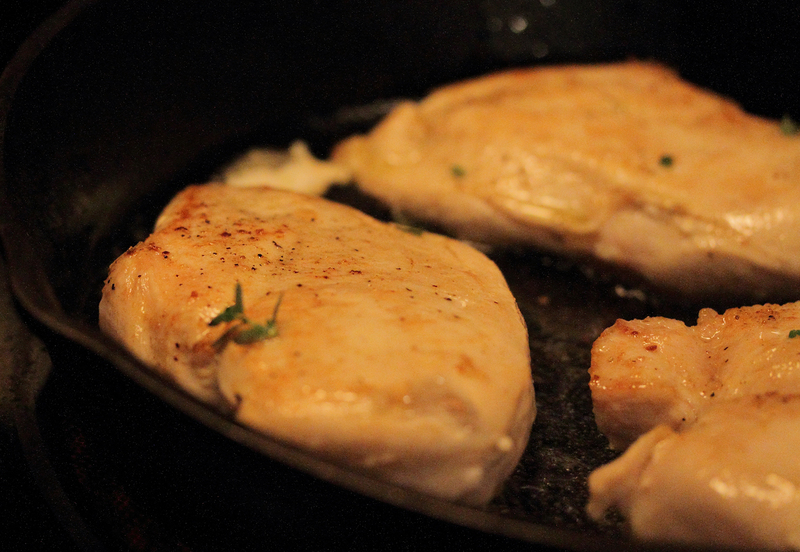 When the second side is almost browned, add sage, thyme, butter and garlic – keep the heat at medium to medium-high. Turn chicken a few times while cooking. When your chicken is done (no longer pink), usually around 7-15 minutes, depending on the thickness of the chicken, remove it from the pan and carve to about 1/4 inch slices. Add the rice to the skillet that you cooked the chicken in to fry for a few minutes, sprinkle with salt and pepper. Stir in the cooked broccoli to coat. 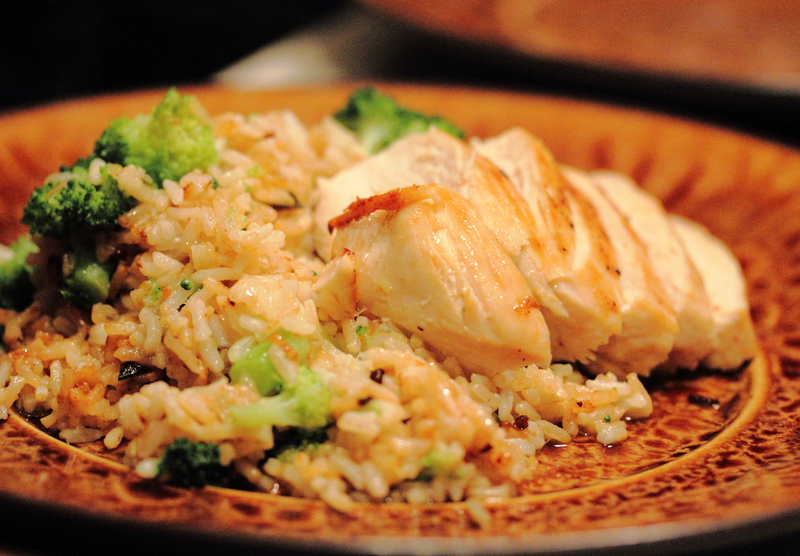 Serve sliced chicken over rice.